Any kind of hearing loss may be accompanied by tinnitus. 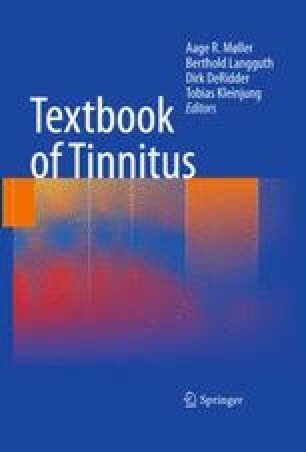 This chapter describes possible causes of conductive hearing loss located in the external ear and middle ear. Pathologies of this area include neoplastic changes (e.g., tumors), inflammatory disease (e.g., otitis media), or disorders of unknown origin (e.g., otosclerosis). Cochlear hearing loss of genetic origin can be classified in to syndromic and non-syndromic forms. Labyrinthitis can occur due to bacterial or viral infection or in the context of immunological disease.